Discussion in 'General Discussion archive 2017 (read-only)' started by Famous when dead, Sep 27, 2017. 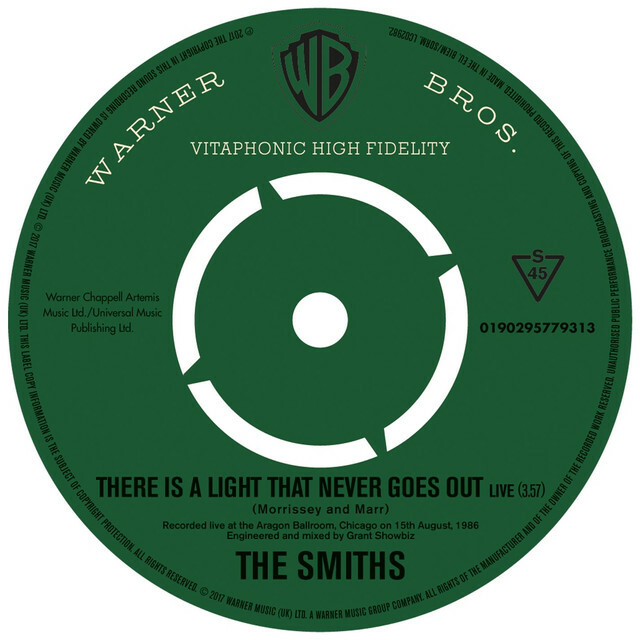 Sadly, this has just appeared with no fanfare or (as yet) link on the Official Smiths site. Probably would have been a better idea to release this Monday instead of Take 1. It is presented as part of the box set pre-release promotion - so may appear on the 'memories' site yet. (thanks to GMS, Anon & a friend for the info). "Of course, I have always loved the Aragon Ballroom, with its gangster slop of menaced glop. When I first played here many lifetimes ago, I sneaked a peek at the queue – confrontationally all over the street, disrupting traffic, shouting back, unctuous and effusive, and there stood an army of male blond quiffs, tattooed arms and Hatful of Hollow t-shirts. Nothing, now, could hurt me. By contrast, the life of a politician looks hopeless." Spotify says it isn't available. Wonder if that's just a US thing? Hmm...! 'Album currently unavailable' - UK. I'm sorry to hear the US Spotify isn't showing it too. Either this track has been stumbled across prematurely or Smiths HQ is a blundering mess since Monday. since I live in my new appartment,groudfloor,....have the same provider,but now using a laptop, while having a spotify acount,or had?,it doesn't direct me to Spotify anymore,the 30 sec. clip was sadly but honoust magic. Brilliant - someone at Smiths HQ must have spent the past 3 days in bed. Better late than never! I checked the other live recordings I have of the song from 1986 and he does it on every one -with varying degrees of success - just that on this SB recording it's really clear compared to some of the others so I never noticed it before. M thought it would be better if it was shortened a little. FWD, are you able to post a wma rip to the regular thread at all, following Vicar In A Tutu? Cheers. Our generous benefactor came through! The only version of this to buy was a .flac version. I have added a .wma and .wav made by myself and included the .flac for anyone who wants to do it themselves. So all 3 formats now available in the downloads section.